3 × = 24 Required Please enter the correct value. Futures for the Dow Jones today, Thursday, June 18, were on the rise from yesterday's Dow close (Wednesday) as the U.S. Federal Reserve plans to hold off raising interest rates until later this year. On Wednesday, the DJIA gained 68 points after Fed Chairwoman Janet Yellen issued a statement following the conclusion of the June Fed Open Market Committee meeting on monetary policy. Yellen said that the Federal Reserve is on track to raise interest rates for the first time in nearly a decade. Yellen suggested that top Fed officials expect the benchmark rate to rise to 0.625% by the end of the year. This would suggest two possible hikes this year, despite news that the central bank has slashed its GDP forecast to 1.8% to 2%, down from its previous estimate of 2.3% to 2.7%. The central bank said it expects more economic growth and more job creation in the coming months. The Stock Market Today: This morning, the U.S. Labor Department will release the May Consumer Price Index. Economists anticipate that the Index will increase by 0.2%, slightly below April's growth rate of 0.3%, In addition, the markets will keep an eye on weekly jobless claims data. Oil Outlook: Oil prices were back on the rise this morning as a weakening dollar and a seventh-straight week of stockpile declines. WTI crude futures for July ticked north of $60 per barrel, while Brent oil topped $65 per barrel. Earnings Reports: Companies reporting earnings this morning include Darden Restaurants Inc. (NYSE: DRI), Kroger Co. (NYSE: KR), Liberty Tax Inc. (NYSE: TAX), Red Hat Inc. (NYSE: RHT), Rite Aid Corp. (NYSE: RAD), and Smith & Wesson Holding Corp. (Nasdaq: SWHC). Pre-Market Movers 1, RAD: Shares of Rite Aid Corp. (NYSE: RAD) slipped nearly 2% this morning on news after the company reported weaker-than-expected first quarter earnings. The news was surprising given that the health and wellness retailer has undergone a rather successful turnaround in the last year, fueled by a boost in prescription sales. The company said that same-store sales fell for the quarter and announced it has slashed its forward guidance for the second quarter on rising costs in May. The company is one to watch in the coming months as many analysts see Rite Aid as a strong takeover candidate for either of its larger two competitors Walgreens Boots Alliance (NYSE: WBA) or CVS Corp. (NYSE: CVS). Pre-Market Movers 2, SGYP: Shares of Synergy Pharmaceuticals Inc. (Nasdaq: SGYP) surged more than 65% this morning on news that its experimental drug "plecanatide" showed significant progress in recent trials. The biotech company said it will seek FDA approval of the drug if its follow-up study in the third-quarter reports similar results. Pre-Market Movers 3, ORCL: Shares of Oracle Corp. (Nasdaq: ORCL) cratered 6% in pre-market trading, slumping to its opening level in nearly three months. The company reported weaker-than-expected fiscal fourth quarter earnings after the bell on yesterday and said that a stronger dollar hurt its bottom line. The tech giant said it continues to see strong growth in its cloud-based products division. Stocks to Watch No. 1, KR: U.S. grocery operator Kroger Co. (NYSE: KR) will report quarterly earnings today. Investors are wondering if the grocer has been able to boost its bottom line after it slashed prices on milk, organics and natural foods in certain areas of the country. Shares of KR were up more than 3% in pre-market trading. Fitbit Inc. will have its IPO today, pricing shares at $20. Stocks to Watch No. 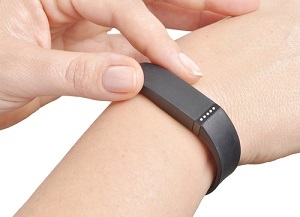 2, FBIT: Wearable fitness tracking firm Fitbit Inc. (NYSE: FIT) will launch its initial public offering (IPO) today. Fitbit Inc. (NYSE: FIT) is already one of the most anticipated tech IPOs of 2015. With all the hype surrounding the deal, people are wondering, "Should I buy Fitbit stock?" Here's a closer look at the Fitbit IPO in our Fitbit stock primer, which you can read right here. The company anticipates a valuation of $3.28 billion even though it will face immense competition from companies like Garmin Ltd. (Nasdaq: GRMN) and Apple Inc. (Nasdaq: AAPL). Stocks to Watch No. 3, CSCO: Tech giant Cisco Systems Inc. (Nasdaq: CSCO) announced plans to spend roughly $10 billion in China in an effort to gain market share from domestic competitors like Huawei Technologies. The company has struggled in China as the nation has emphasized economic protectionism by promoting its homegrown technology firms. Over the next few years, Cisco plan to work with China's National Development and Reform Commission to promote "innovation, equity investment, R&D, and job creation." Stocks to Watch No. 4, AGN: The biotech deals continue to flourish. Today, Botox manufacturer Allergan plc (NYSE: AGN) announced a $2.1 billion cash-and-stock deal to buy pharmaceutical firm Kythera Biopharmaceuticals Inc. (Nasdaq: KYTH). Shares of Kythera surged more than 22% yesterday on the news. This is just the latest deal among pharmaceutical companies that are engaged in record M&A activity. Profit Opportunity: How to Profit from the Top Pharmaceutical Companies Now. Bill Announcement at 11 a.m.
30-Year TIPS Announcement at 11 a.m.
Join the conversation on Twitter, and be sure to follow @MoneyMorning.